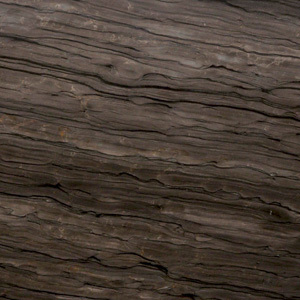 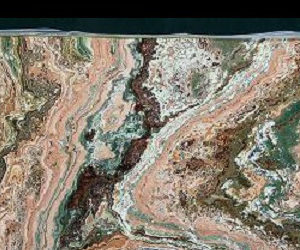 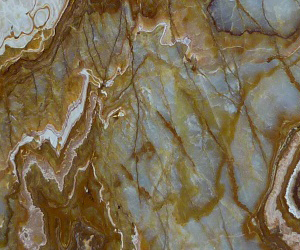 Onyx is a stunning natural stone formed by the act of water dissolving existing limestone and re-depositing it as a completely new kind of stone. 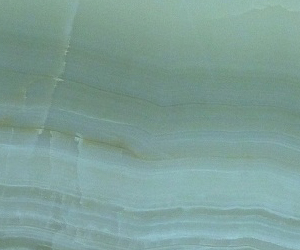 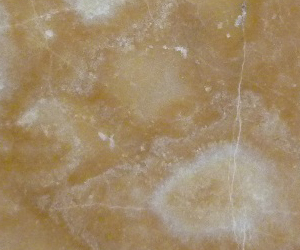 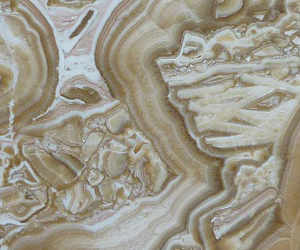 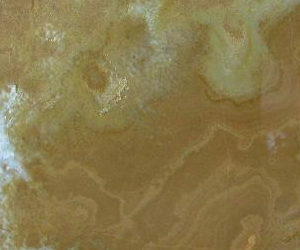 In limestone caves, Onyx is formed by drip water, much like stalagmites and stalactites. 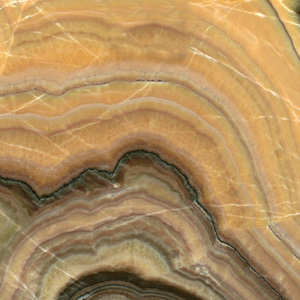 Onyx is a banded variety of Chalcedony, a cryptocrystalline form of silica, composed of very fine intergrowths of quartz and moganite. The bands of colour in Onyx range from white to every colour imaginable and in many hues. 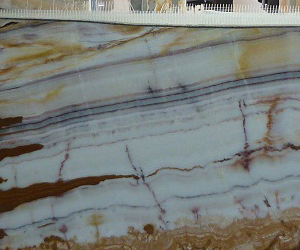 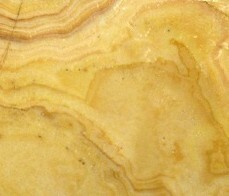 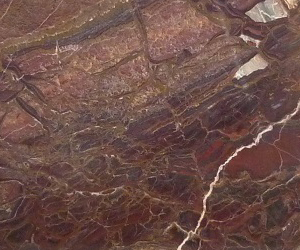 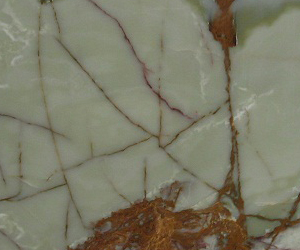 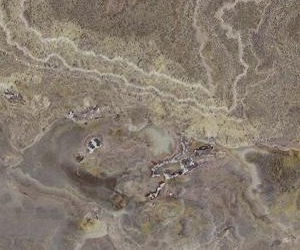 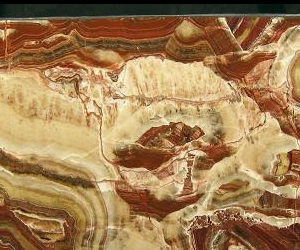 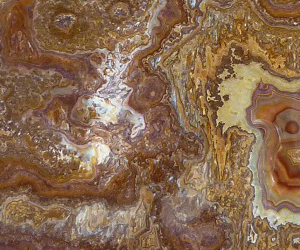 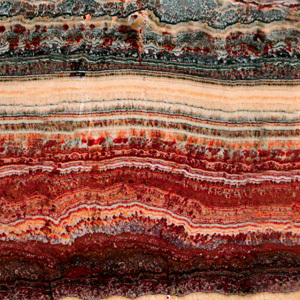 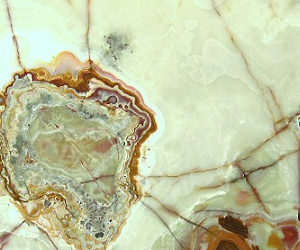 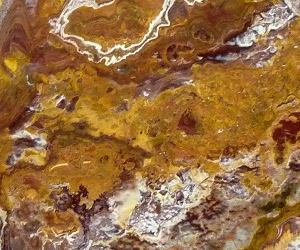 Each type and colour of Onyx varies enormously in colour and banding. 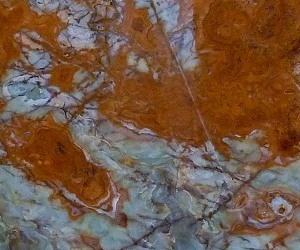 Along with these truly remarkable bands of colour, this stunning natural stone offers a beautiful translucent silky luminosity that is unchallenged by any other stone. 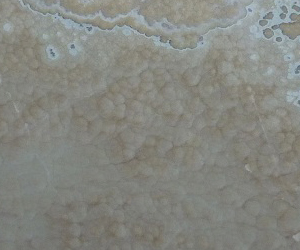 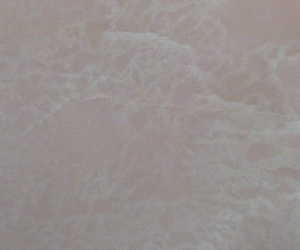 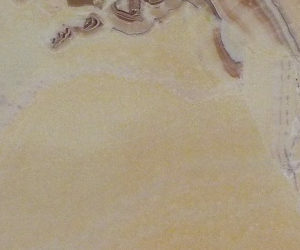 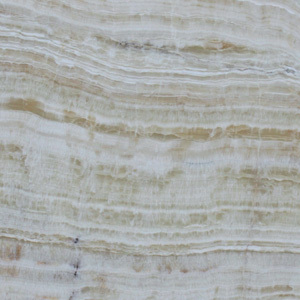 Due to this translucency, Onyx can look quite stunning when back lit with white light and is suitable for use in bathrooms and for fireplace surrounds but, being a form of limestone, it is not suitable for kitchen worktops. 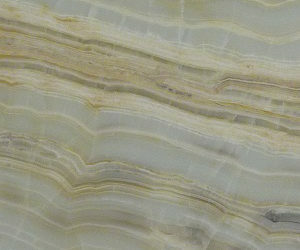 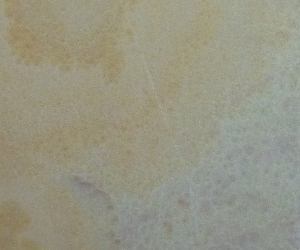 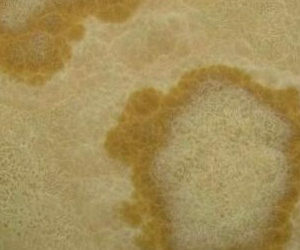 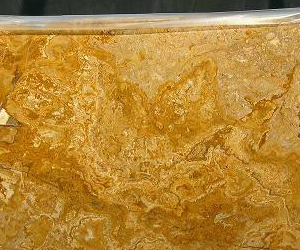 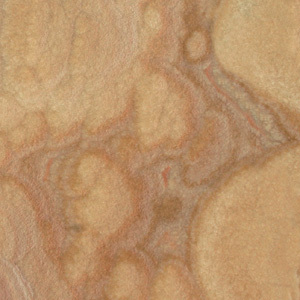 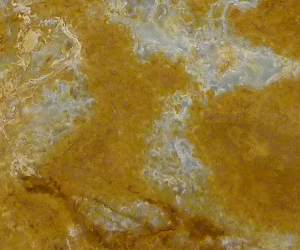 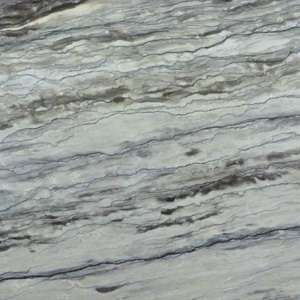 Onyx is produced and supplied with a polished finish and is only available in 2cm thickness.